I was invited to host training For Central TREC Group which I gratefully excepted. I’m predominantly a dressage rider and trainer but really felt that the two disciplines could overlap very well. The TREC obstacles require accuracy, balance, co-ordination and obedience. Many are also similar to those executed during a dressage test. 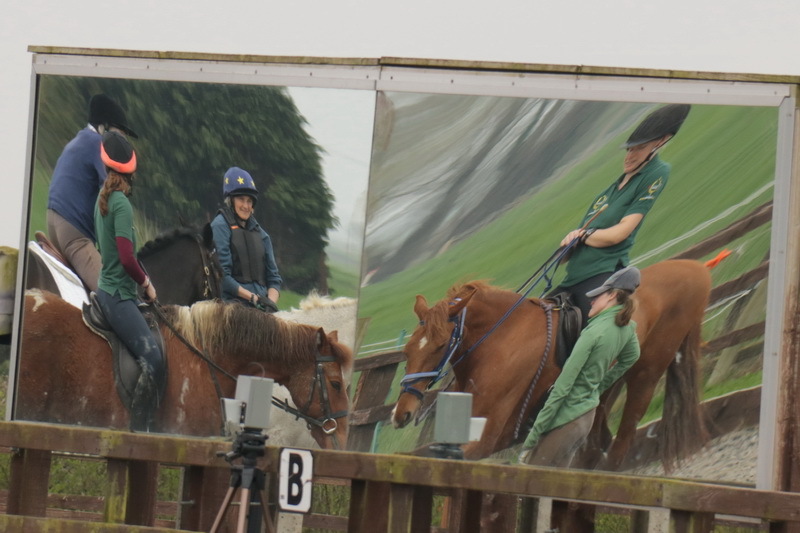 When tackling the bending poles riders wanted optimum speed with accuracy so to improve this riders needed to stay as close as possible to the poles and use their body and weight aids to negotiate each pole, keeping the horse in as straight a line as possible i.e. without bending the neck. Bending the neck and using the reins to turn the horse means it’s less economical and the horse will lose balance and take longer to turn; keeping the horse straighter and upright is easier and more efficient for both horse and rider. During the rein back corridor many horses want to step out and sideways. 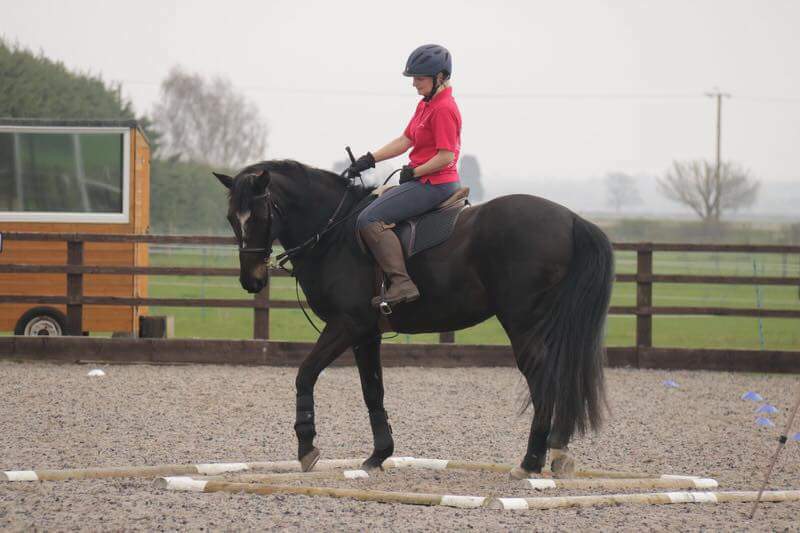 Rein back is a diagonal movement and aids need to be applied in a diagonal motion. For example the rider’s left leg and right hand are used together and vice versa. The rider’s weight must be slightly forward in order not to block backward motion. Aids need to be alternated in time with the horse’s movement in order for the horse to stay straight. If the horse starts to deviate from the line and moves the quarters to the side instead of backwards this can be corrected by taking the horse’s head in the same direction as the quarters are moving. 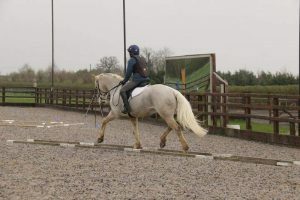 For example if the quarters are moving to the left, the left rein is used a little to move the head slightly to the left, the horse should then step straight and continue on the correct line. During the control of paces (MA) it’s easy to fall in with the horse’s natural rhythm and pace and not to influence any change. To make a change to a pace, the normal rhythm needs to be broken and a new one created. 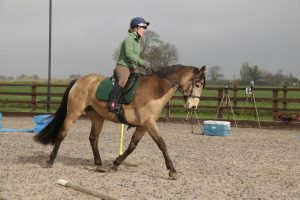 To do this the rider needs to use the hips, pelvis, core and weight aids. To increase speed, rhythm and stride length the hips and pelvis must create a bigger motion forwards, backwards and side to side. The rider is lighter when creating more energy. The rider needs to create their own movement that the horse follows and not fall in the the trap of just following the horses movement. 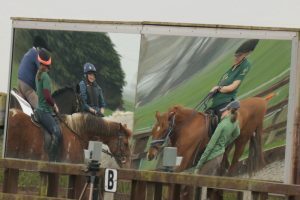 To decrease stride length, speed and rhythm, the hips, pelvis and core make a smaller motion with more strength in the core muscles to prevent the horse travelling faster with bigger strides. Keep you belly button, breast bone and nose in one long line when turning. When making tight turns do small slow steps. Turn the horse from your hips. When asking a horse to step sideways the outside rein is needed to prevent forward motion and to aid balance. Riders found the training sessions very useful and small things can make a huge difference. 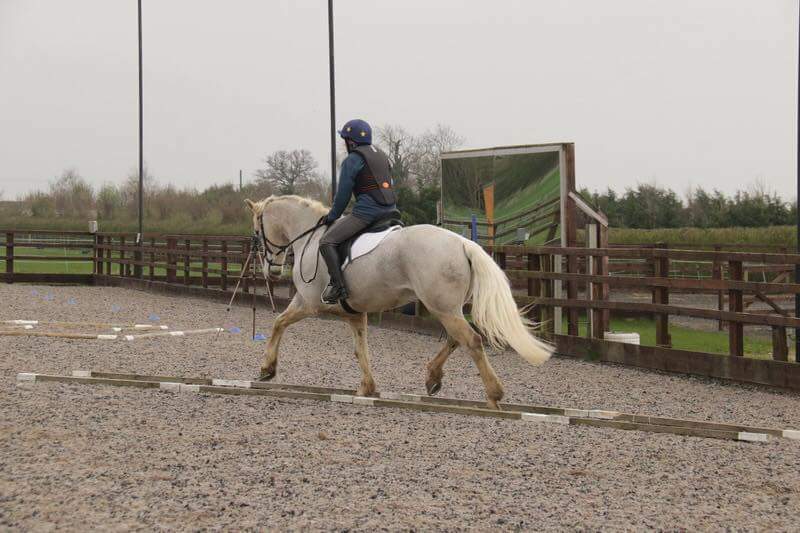 Next time you’re riding your horse give some of the above a go, you’ll be amazed how easy things become.